All grafts are spaced out to ensure healthy blood circulation and healing. The spaces between grafts will be later transplanted with hair to maintain the smooth flow of hair. The advantage of having the procedure done by an experienced doctor is that they take care in transplanting hair follicles and grafts and place them such that the natural direction of the hair is maintained. After the hair replacement is completed, the area is cleaned and bandaged. Most of the doctors advice about wearing a pressure band for the initial few days to ensure that the grafts are healing and do not move. Another surgical procedure for replacement of hair includes the Flap surgery. This is the preferred surgery for covering large bald patches and there are no specific rules on the size of the graft. It is customized as per individual’s requirements. Oftentimes, a large flap graft is equal to 300 punch grafts. Most of the plastic surgeons use flap graft with scalp reduction surgery for higher coverage of the scalp. But if you need better frontal coverage with a more natural hairline, this is the recommended surgery. For burn victims and reconstructive surgery, surgeons utilize tissue expansion methods. This helps to create new skin tissues that are required to cover the burned areas. However, its application in hair replacement procedure has been commendable. In the shortest amount of time, there is significant coverage of hair on the scalp. Though there are a variety of methods for replacement of hair, all of them require surgical methods for faster coverage. You can talk to your surgeon about your apprehensions and ask them in more detail about the procedures of hair replacement. 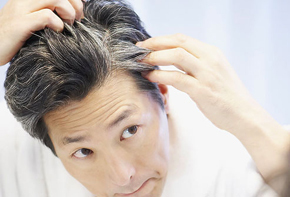 Next post: Are you a good candidate for hair replacement procedure?